Richelle and Jared met in high school, when they were 13 and 15. Jared took her to the movies the night he got his driver’s license and they’ve been inseparable ever since. Jared is quiet with a quick wit, known for being a bit of an unsuspecting prankster, while Richelle is bubbly and always ready for a laugh. It’s not hard to see how perfectly they balance each other out. On Thanksgiving weekend they headed to the lake, where Jared proposed during a walk on the beach. 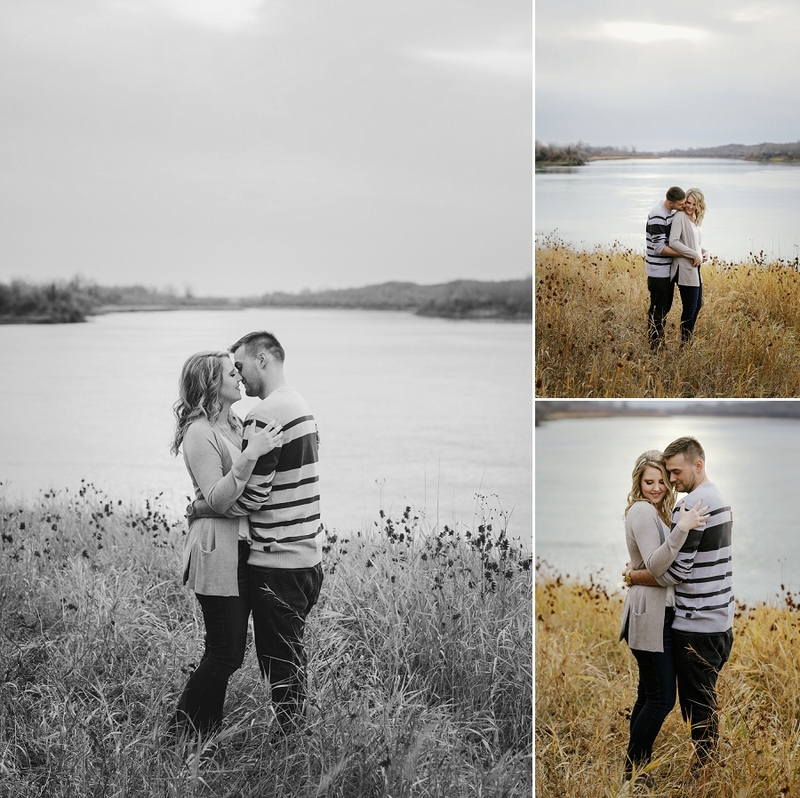 We met up in late October for their engagement photos at the Borden Bridge. A gentle chill and the smell of leaves hung in the air, and the gorgeous late fall light cast a beautiful golden glow. Their sweet rescue dog Brisby joined us for part of the session. She wasn’t sure what to think of the camera at first, but ended up totally hamming it up like a superstar. 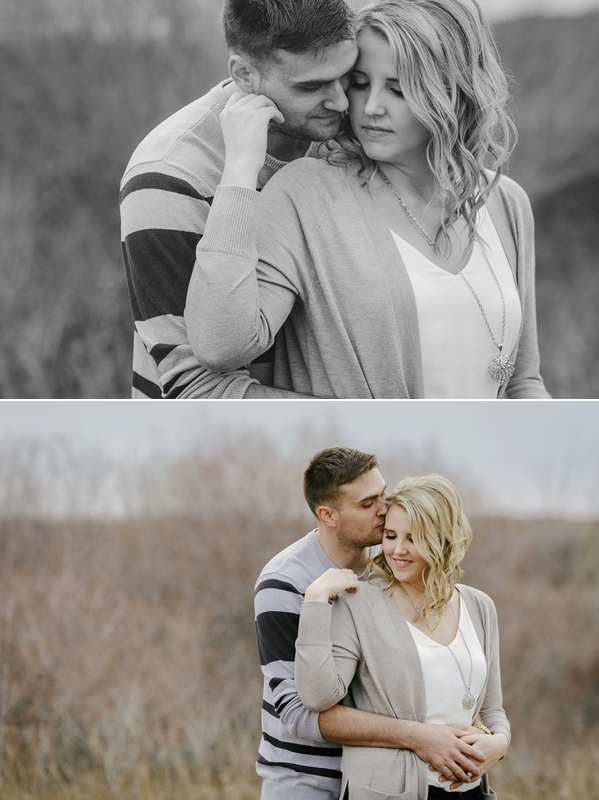 Richelle and Jared’s June wedding in Dalmeny is coming up fast! It’s going to be such a fun small town celebration of where they grew up, met, and will continue to build their life together. 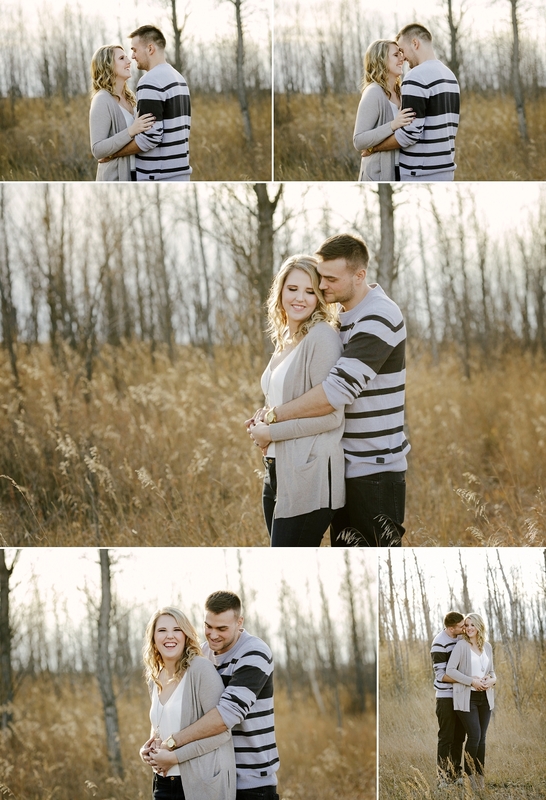 Copperblue Photography and Design is a Saskatoon photographer specializing in engagement photography, grad photos, and wedding photography in central and northern Saskatchewan. these are so sweet! I love that they included their dog, what a cutie. Looking forward to seeing their wedding photos. Thank you Michelle! I always love when people bring their dogs! I can’t wait for their wedding! there is nothing like young love!!! beautifully captured! I completely agree! Thank you so much, I look forward to sharing their wedding! I love all the neutral tones. And they look so happy! 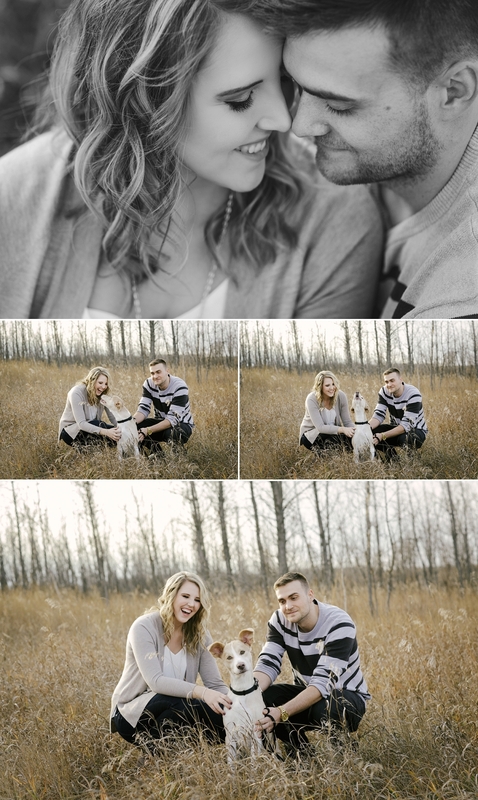 I love the neutral palette you get for fall engagements! Thanks Jenn! Love the colours and the location. Beautiful! Thank you Rose! It’s such a fun location, I wish I could use it more often!